Zero Waste Vashon – Vashon's got it all! Why throw it away? many paths to Zero Waste. making it greener than ever. 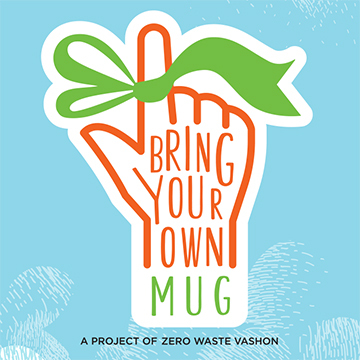 Zero Waste Vashon (ZWV) is a group of Vashon Island neighbors working in partnership with King County to make our island a model green community by finding practical ways to recycle our waste stream into useful products. Working toward a zero-waste future, we can have revitalized soils, cleaner water, cleaner air, and locally sourced energy. AJ’s, Anu Rana’s Tea Shop, Burton Coffee Stand, Café Luna, Snapdragon, The Wild Mermaid, Thriftway, Vashon Island Baking Company, Vashon Theater, The Vashon Island Coffee Roasterie and Minglement.